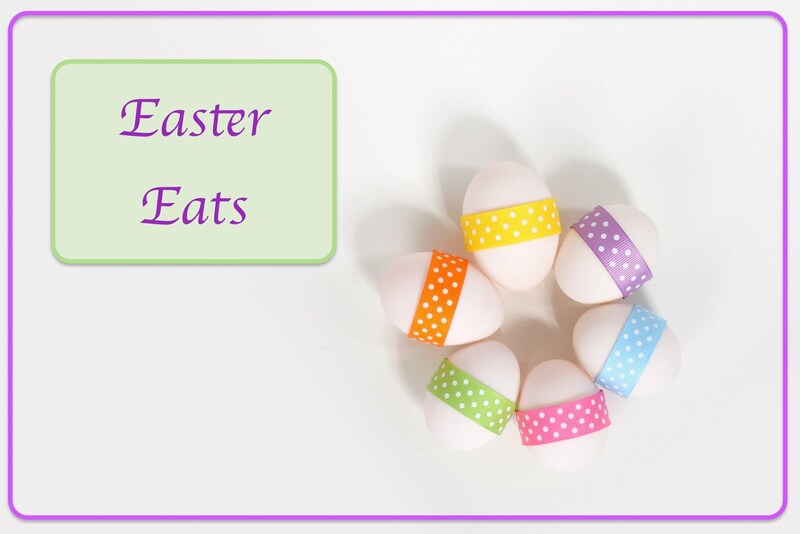 If you're looking for ideas for your Easter feast, look no further! The first thing we make every year is hard boiled and dyed eggs. The kids love it. I'm not sure they'll ever really grow tired of it. I never have! As the years go on the designs get more elaborate and the hands stay cleaner, but the tradition remains the same. Typically we only hide our plastic eggs, so we have a bunch of hard-boiled eggs available for eating on Easter morning. These make a quick and easy breakfast for everyone! Here are some eggs we've decorated in the past. I do recommend rinsing off the sparkles if you use those! 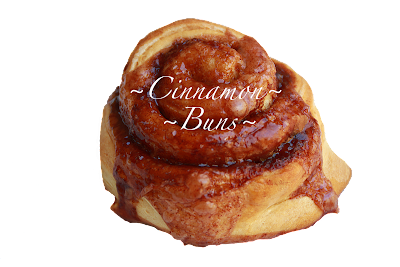 Along with your hard boiled eggs for protein, you can't go wrong with a cinnamon treat! This is a recipe for the absolute best homemade cinnamon buns I've had. Part of the trick is using the bread machine to make the dough. It kneads it perfectly and lets the dough rise at the ideal temperature. The result is smooth, fluffy dough that puffs up just right. You'll want to try these for sure! Once it's time for lunch, you'll want to use up some more of those hard boiled eggs. One of our favorite ways to prepare them is deviled eggs. My husband can down half a dozen without trying! Check out this cute version I made inspired by a magazine article. They are adorable, don't you think? For lunch we traditionally have ham and potatoes. I love scalloped, but twice-baked and mashed are also great! I usually try to get a spiral ham if it's on sale, but sometimes I get the whole, unsliced ham and that's is quite delicious as well. Typically I skip the glaze because I find the ham just right without it. If I'm making the whole ham I like to top it with pineapple rings and maraschino cherries. If you do this, be sure and save some of the pineapples and cherries for the recipe below! For dessert, one of my favorites is pineapple upside down cake. It's an older recipe and my mom used to make it often for Easter when we were kids. Follow this link to for a most delicious treat! If you're not in a sugar coma by this point, check out these adorable cupcakes and cake. They were, like the deviled chicks, inspired by a magazine article. I found the marshmallow bunnies while I was out shopping and I thought they would be adorable on these grassy green cakes. I have no separate post or recipe about the cupcakes, I just thought they were too cute not to include! To make the cake, just bake up your favorite box mix or other favorite cake recipe. Pour half into an oven-safe bowl and the remaining into a cupcake tin with liners. Bake as directed. 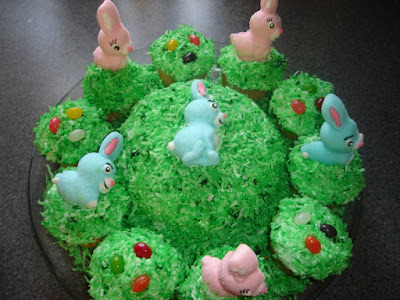 Frost with any icing you like, then top with *grass and decorations. Here's a recipe for icing if you need it. *To make the grass, empty a bag of coconut into a bowl and squeeze in a few drops of food color. Mix until color is evenly distributed. Voila! Grass. The jelly beans, by the way, are jolly rancher jelly beans, my fave! Do you have any favorite Easter recipes or traditions? Comment below to share.